Now what the author in IHE does not include are quotes from the book so it is uncertain for me to know if his reference to Thorndike is from that book or other sources. We will need to park this item on the table for a moment. So, after making the argument that requiring students to complete all their tasks in the same given time is inequitable – which I’m a little confused by this line of argument in general because in Canadian institutions we have entire units dedicated to support student success through extended exam writing times etc. 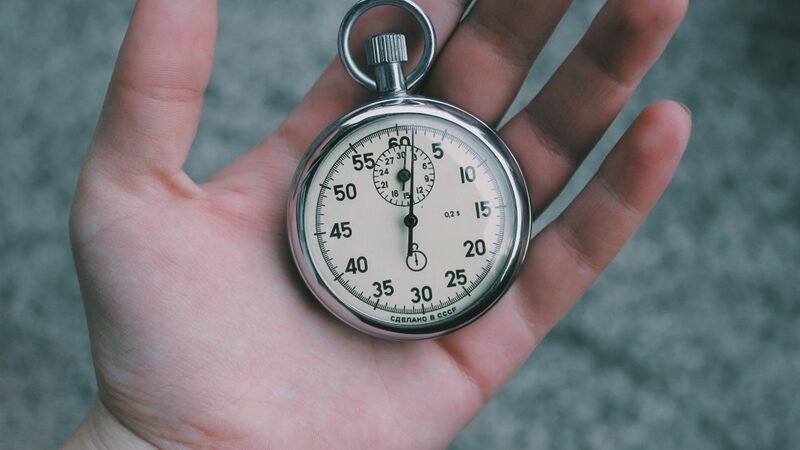 – we return to the quote that brought me to this article, “Our current Taylor/Thorndike industrial, palletized, time-based, one-speed-fits-all model is unfair for any speed of learner.” What appears to be the pitch by the author is a move to, …”proficiency-based learning, flexible learning pathways and learner-centered accountability to ensure high-quality teaching and learning is every student’s right. In this model students are held to high expectations and work until they meet them, every day.” There is some mention of competency based learning designs. So here’s why my surprise and confusion came from. The pitch seems to be, these things are happening in education, they are bad, they came from Thorndike, and we need to reject them. Not only should we reject them, but we should replace them with these new ideas. The only problem is that many of those ideas and the way to execute them stem from Thorndike! These new approaches come in a variety of forms and with different names through the 20th century. 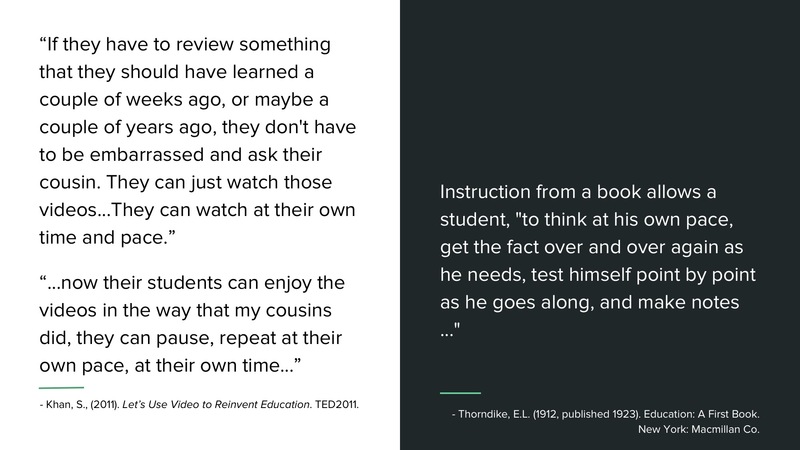 From programmed instruction (think Skinner and his teaching machine), to PLATO (computer assisted instruction), to mastery based learning and competency based learning (think Robert Mager in the 1970s), to adaptive and personalized learning (what folks like Khan Academy pitches as a new way to learn, watch videos and try the assessment until you succeed). The technology we have today can execute these designs in ways that Thorndike wanted, but could only dream of. 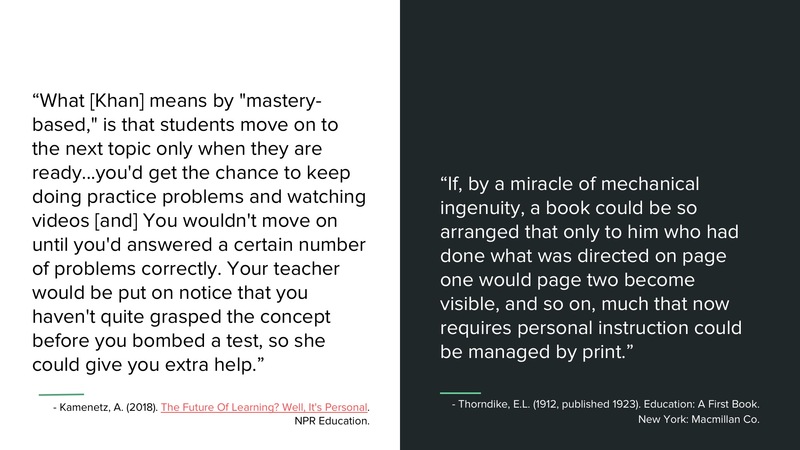 It is the writing in Education a First Book that leads me to believe that it was technical, practical, and systemic limitations that kept Thorndike from being able to create learning that was not a ‘one-speed-fits-all’ model. If this author had provided further evidence about Thorndike’s writing to support his argument I might buy it. But that is not the Thorndike I’ve come to know through these works and works of education researchers and writers. I think the author is overlooking Thorndike’s influence in the current rhetoric around “…individualized, adaptive and guided learning models where failure is not an option.” and we should be cautious and critical of grand pitches as presented here.